Return of Haiku! Plus…Laminate Me! 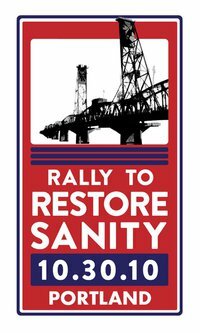 Hey–just a quick note to say that Haiku Inferno (me, along with B. Frayn Masters, Elizabeth Miller, and Frank D’Andrea) are performing at the Portland Rally to Restore Sanity event tomorrow. I think we go on around 2:30. Our set is pretty short (it is haiku after all), so don’t be late. We’re gonna do haiku about the Tea Party, Juan Williams, and Chris Dudley to name a few. It’s been over a year since our last show and I’m a little rusty on my haiku writing. It’s taking me forever to write these little buggers. So please come out and cheer us on so that my hard work is rewarded! In other news, I am excited to have some weird little stories up at Lamination Colony. I always wanted to be on this site (run by Blake Butler, who is probably my favorite tweeter on the planet) and now my dream has come true. And it’s a good thing too–this LC is the last one. If these stories sound familiar, it’s because they were written as introductions at a reading earlier this year at Ampersand. ACP stuff! I did a quickee interview recently for this blog. And thanks to all the students of Rebecca Brown’s writing class at University of Washington (and especially RB herself!) for reading ACP and enjoying it. I love to hear about students reading my work. Thank you! Fresh new work! I’m reading at the Tangent Reading Series on November 6th. I’ll be with Mark Wallace and K. Lorraine Graham. 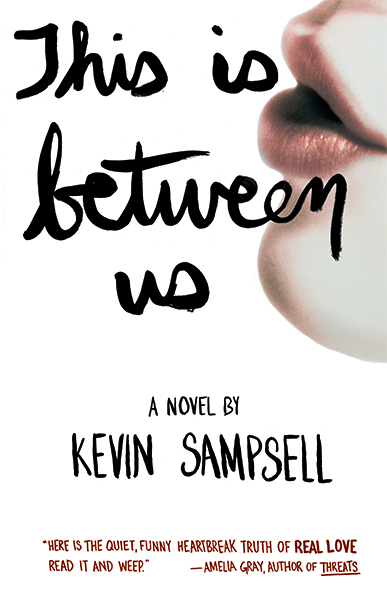 I will be reading from my new fiction project (a novel told in tiny stories!) called This Is Between Us. I’m very excited to share this work-in-progress. Contest! I am the judge for the Burnside Review Fiction Contest. Details here. I’ll write more next month. Have a great Halloween! This entry was posted in Uncategorized and tagged Blake Butler, bryan coffelt, Burnside Review, Emily Kendal Frey, evelyn hampton, Haiku Inferno, Lamination Colony, Rally To Restore Sanity, Tangent Reading. Bookmark the permalink. Totally stoked about the Tangent reading!